This is a new Scraps Inc. book! It was just released this week! I had the opportunity to contribute to the first volume, and was thrilled when I was again asked to contribute to the second volume. 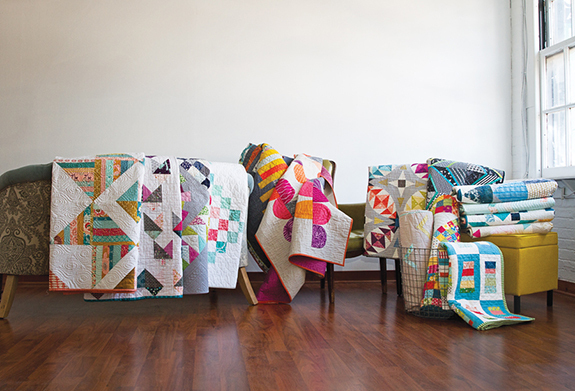 Lucky Spool Media does a great job on their books, and it is always an pleasure to see my work next to projects by so many other amazing quilters. Volume 2 is even better than Volume 1! My quilt in this book is Confetti! My goal with this quilt was to put together a project that appeared random with an improv feel, but with the order of a reproducible pattern. As per my usual style, I stayed away from crazy scrappy and went with orderly scrappy. I love a scrappy project with a color palette. The color ideas for this quilt hit me one day while I was cleaning out my purse. I have a navy purse with tan straps and gold hardware, a bright pink wallet, mint green water bottle and pink lip gloss. They were all sitting there and together it was perfect! 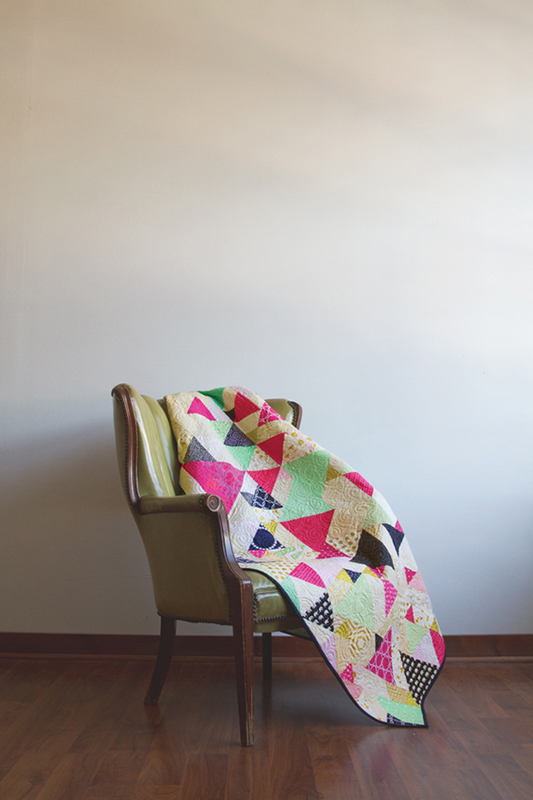 I adore the gold accents in this quilt. Luckily for me, the metallic fabric craze was really getting going about the time I made this quilt for the book. The selection of metallics is even better now. It adds such a fun twist to any quilt to incorporate these fabrics. 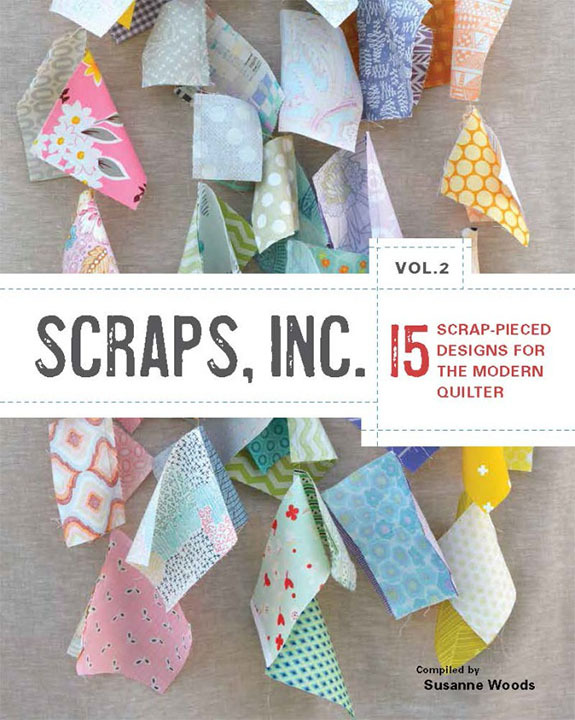 Through Tuesday, February 16 Scraps Inc. Vol 2 is 30% off (use code Scrap30)! I have one copy of the book to giveaway courtesy of Lucky Spool Media! Head on over to my Instagram account today and leave a comment to win! The winner will be announced Tuesday, February 16th! If you haven't seen the other stops on the blog tour this week, check out the other contributors posts! You also have so many additional chances to win a copy of the book through their blogs as well! Feel free to enter each time. We all have a copy to give away! I LOVE your quilt! It's my fave! Lovely!! I love scrap quilts! Oh man, that quilt is a show stopper. 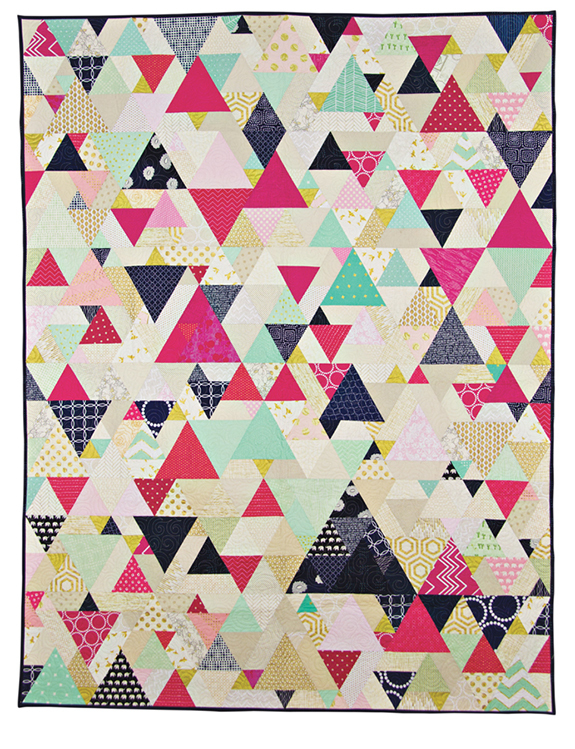 I love the color scheme you chose, and the triangles have such great movement! I have no IG acct, but great quilt. I'm not sure I'd want to make it myself - all those triangle would be fiddly, but it is sure lovely to look at! Beautifully done. What a fabulous use of bright colors! I love controlled scrappy. Scrappy scrappy just makes my head want to explode. Kati, I really like this design! You did a great job! I love the colors and design! That is such an awesome design! LOVE it!! 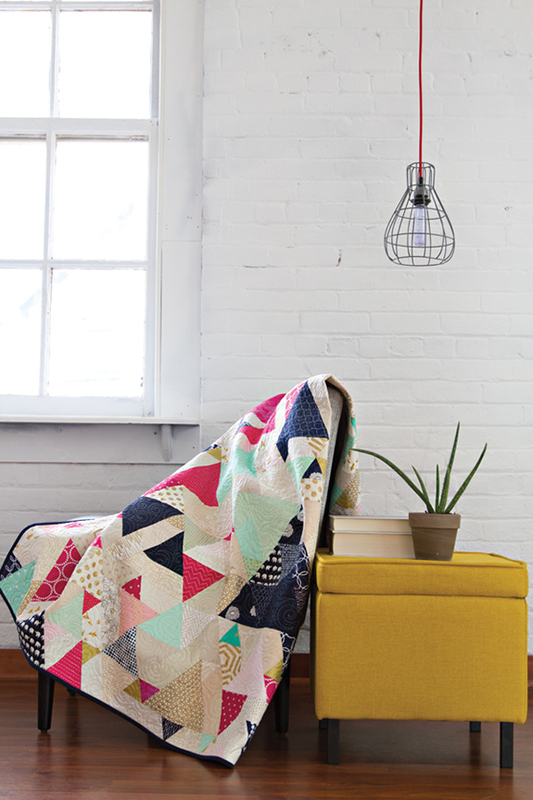 Hello, gorgeous quilt! What is the finished size? Am hoping to find the book in Europe.